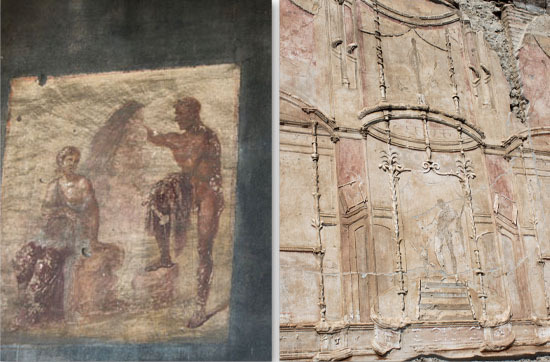 Oh Pompei. Did I ever tell you it has been a dream of mine to visit this place my whole life? Ever since I learned the history of the city frozen in time, I had to see it. So, Husband and I made a quick detour from Florence, on our way to the Amalfi Coast. 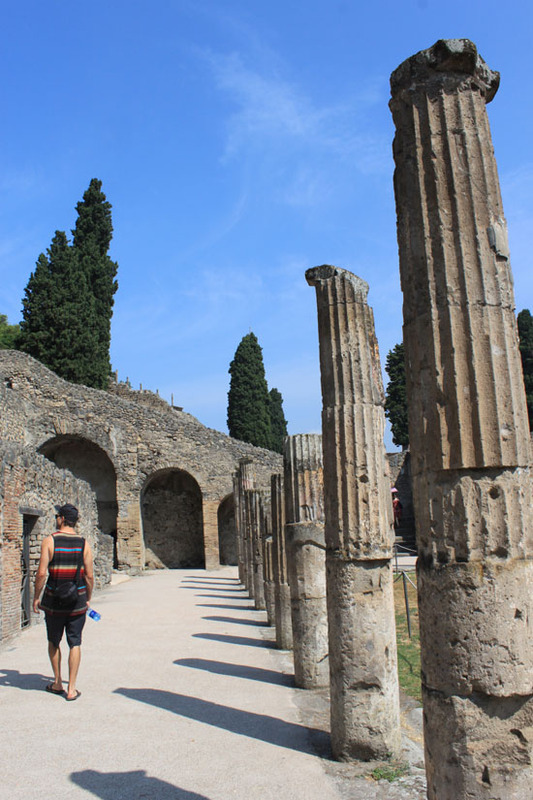 We actually spent a night in Pompei, to give us more time to explore the ruins, which really takes at least an entire day. We could and should have spent more time there, but truth be told, it was so ridiculously hot. I don't recommend doing Italy in the summertime if you plan to hit all the tourist spots. But, you make do. 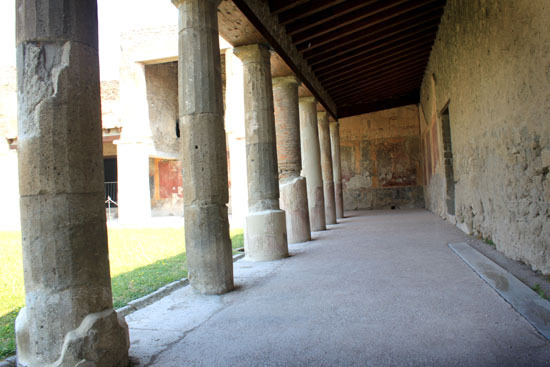 I loved Pompei, it was really quite fascinating. But I had one disappointment. And this is entirely morbid of me, but I really expected to see more casts of bodies. You know, the dogs, the pregnant mothers, the people covering their faces. So morbid! I know. But growing up, I saw all of this stuff in books. And I don't know if we just didn't hit the right spots, because the ancient city is actually very big on foot - or maybe they're somewhere else. I don't know. 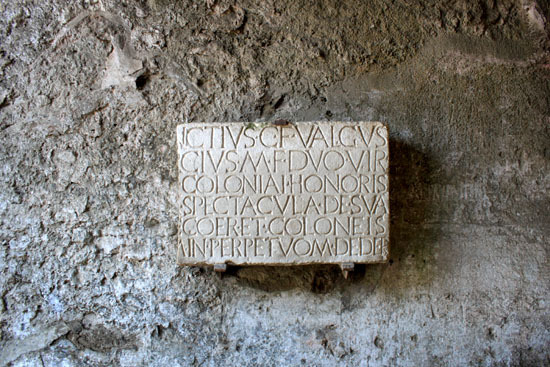 I think the most surprising thing to learn was how similar the ancient Romans were to us. In reality, human kind has evolved, but in many ways, thousands of years later, we are very much the same. I mean, these people had day spas with hot tubs! 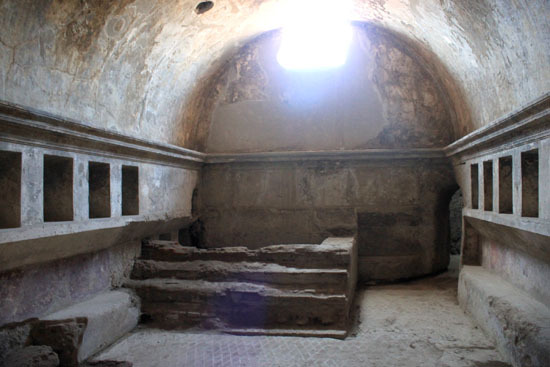 And fast food joints, bars, bakeries, theaters, plumbing (granted it was lead plumbing). And not only did they have many modern day conveniences, but everything was so intricately constructed with the marble, brick, columns and painted frescoes. I can only imagine how beautiful this place was back in it's heyday. 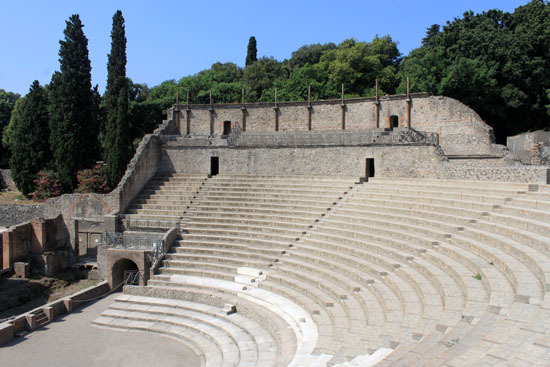 It's such a tourist's playground now, but in reality, the ancient ruins of Pompei are actually a grave site to a once bustling city, and all those who perished there. we did that coast in July of 2010 and yes the heat was cray-z! even for this florida gal. I was never without a bottle of water. I think these are my favorites Katie! It looks s awesome, and of course your outfit is amaze!! Wow these pictures are amazing! I would love to go there. eeps! this must mea positano photos are near! can't wait! 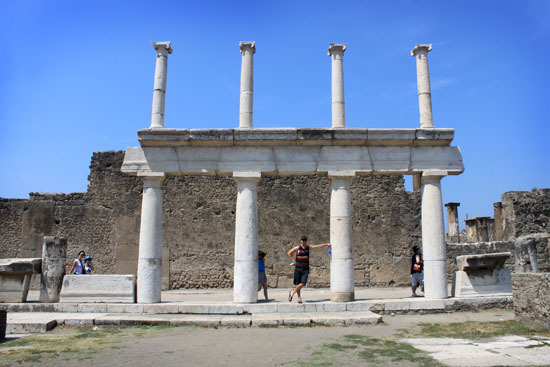 we skipped pompei - for some reason I didn't have a huge desire to go see it. But now seeing your post I am regretting it a little bit! I am always so fascinated by the fact that life doesn't change all that much - even after so much time - humans are humans and we crave and want the same things. so interesting! omg! as usual, gorgeous photos! I can only dream of one day going on a tour there. Wow these pictures are awesome! I am super jealous!!! I would love to go there! Looks fabulous! 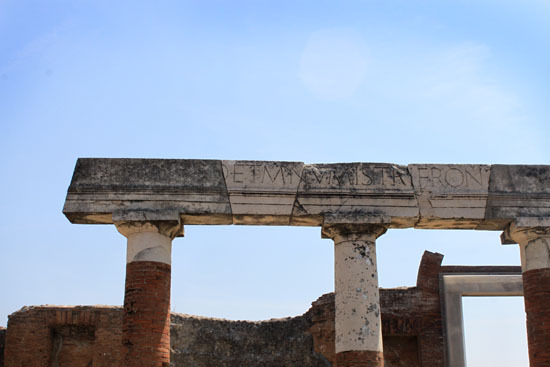 I went to Pompeii in March! After learning about it since I was a kid it was such a wonderful adventure. Thanks for sharing your photos! Katie, I've really enjoyed viewing all of your photos from your amazing trip. My husband and I will be visiting Italy next summer with family and I plan to come back and re-read your posts from your trip for tips and places to go etc. What an amazing experience. Love your outfit as well! I've never been, but I think I would expect to see a lot of body casts too. As you said, there are a lot in books and you always hear about whenever the topic comes up. Your pictures are beautiful, and I love your outfit! Wow! That's awesome you went to the ruins. Like you, I've always wanted to see it after studying it in school and reading up about it. Looks like a lot of fun! Beautiful pictures! Katie, I loooove these posts :) Your outfit is so cool by the way! Great pictures! Looks like so much fun and I am soooo jealous by the way! I wanna go! You look adorable, as always. Your pictures remind me of Greece. I LOVE YOUR OUTFIT! 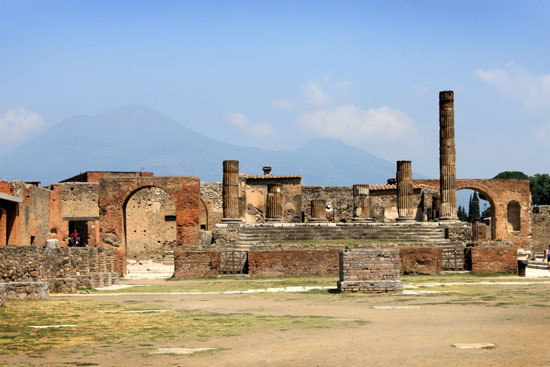 You are so lucky to have had the chance to visit Pompei. 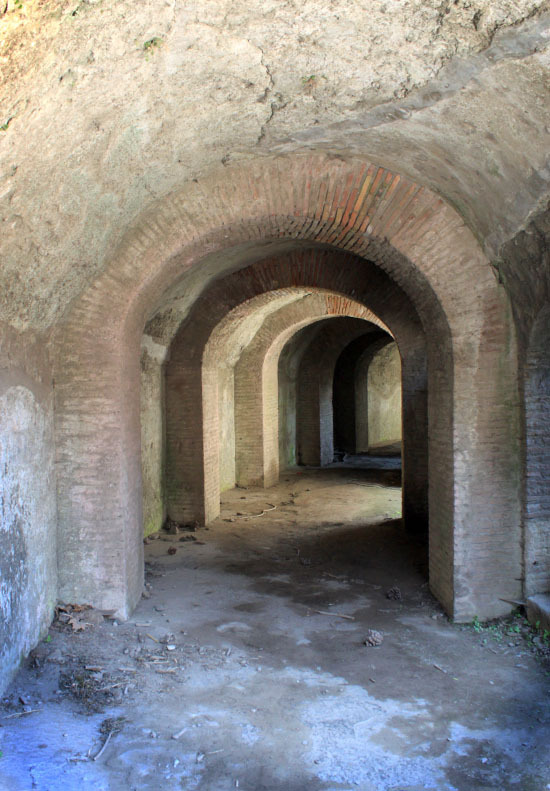 I too read about it and saw documentaries about it when I was a kid, and have always had that "morbid" curiosity that you are talking about, and the mistery that seems to wrap around the story of this place, I just love it, and would love to visit as well and see for myself. I would also be disappointed to not be able to see as many body casts of the people that died there, that was what I was most curious about, it just makes me think "How could all this happen this way, I wonder how..."
Thanks for sharing the photos, it is an amazing place. Oh wow I would love to go there! In fact, my husband and I and another couple are going to Italy next year. Would you be able to share your itinerary at all? Where you went, in what order, and recommendations of places to stay/things to do? Ever since we studied Latin in middle school, I have been DYING to go. For now I'll just live vicariously through your photos. Drool. 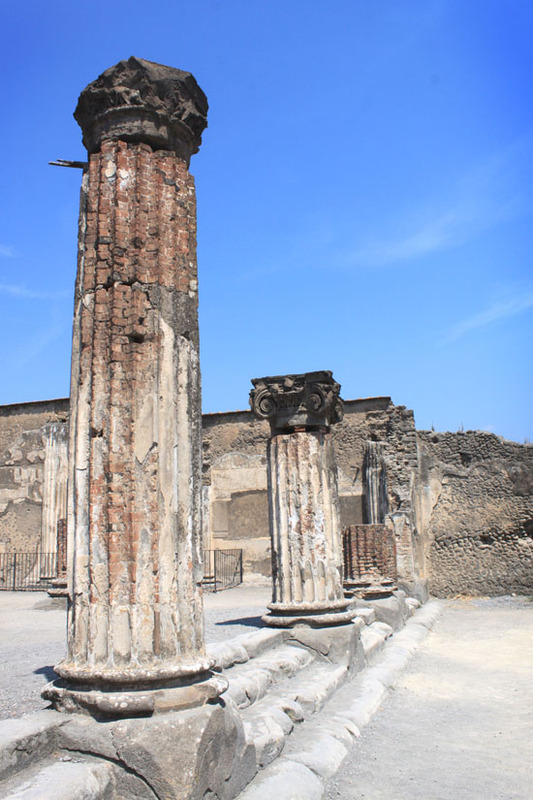 i LOVE pompei - i thought it was eaisly one of the most interesting places i saw in italy - although i was a little nervious the whole time that vesuvius was going to explode again! oh wow what amazing pictures, I want to go there so bad one day, Lucky girl!!! 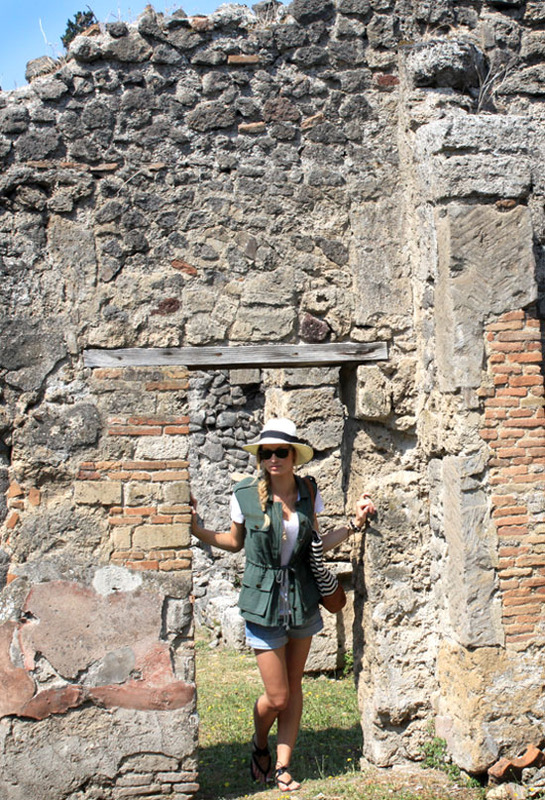 Pompeii has been a dream of mine too. I get the morbid thing. Get this for morbid... every time the hubs and I spoon I think of Pompeii and the frozen images from the textbooks of the couples they found this way. See. Morbid. I'm with ya. How long did you travel for? Doesn't seem like you were gone that long but you seen so many places. 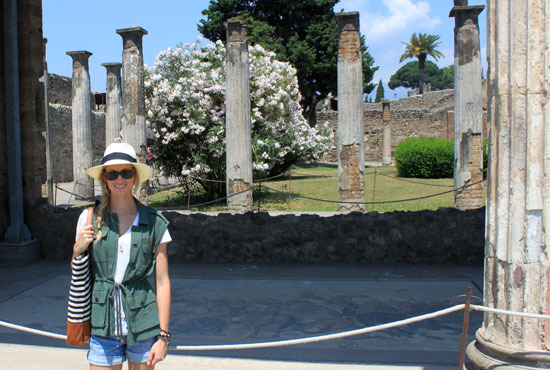 I went to Pompeii in 8th grade and was amazed! Even at that young age, I was absolutely enthralled and fascinated by it all! I still think of it often, and long to go back! They certainly don't build structures to withstand the test of time like the Romans. 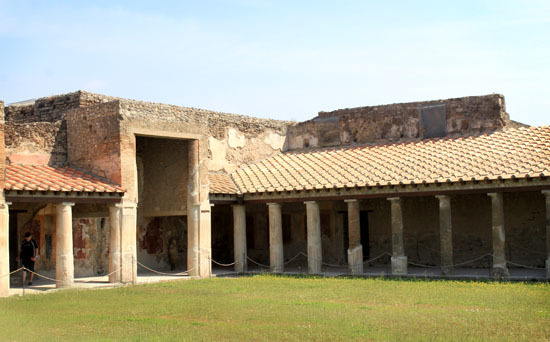 The wish to visit Pompeii in general is slightly morbid, but thousands of us want to go every year. 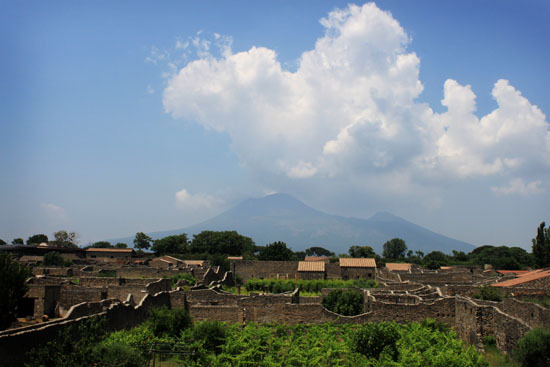 Definitely putting Pompei on my bucket list! And you're definitely not morbid. I would totally want to see the bodies too! 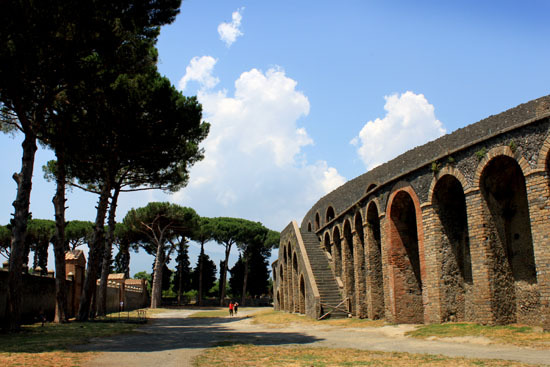 I have also wanted to go to Pompei! It looks amazing! 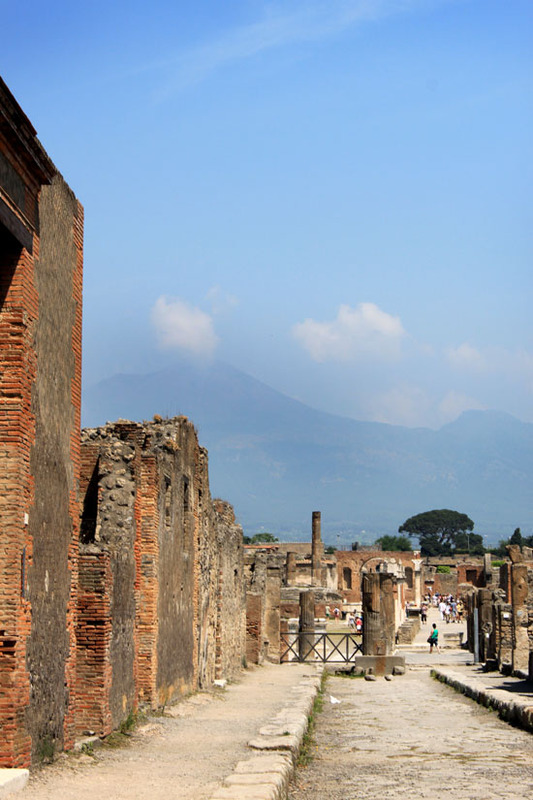 Pompeii was one of my bucket list places I visited two summers ago and like you, I read them in books and the National Geographics and you're not the only one who thought that! I expected more casts of the bodies too. You took way more beautiful pictures than I did! Thank you for sharing to let me relive the great memories! 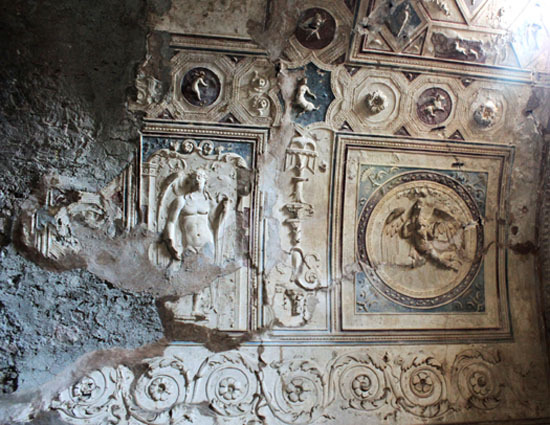 i would love to visit pompeii some day. great pictures! 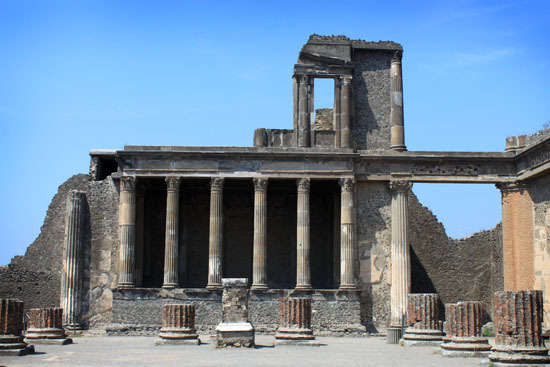 id love to go to pompeii someday and explore the ruins! good to know about the casts.. i kinda thought there would be a ton too!